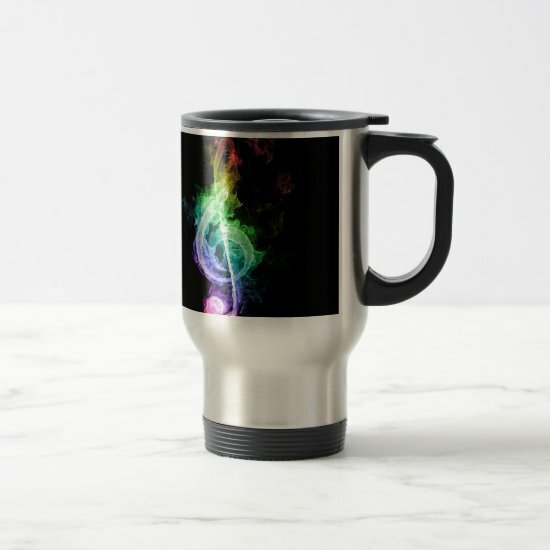 Piano keys, musical notes with love hearts, famous composers, banjos, flutes and music teachers ~ just a few of the themes for these unique travel mugs with designs for musicians, music lovers, music teachers and music students. 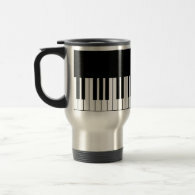 The perfect travel mug for the pianist in your life, featuring piano keys wrapped around the mug. The stainless steel mug provides timeless elegance. 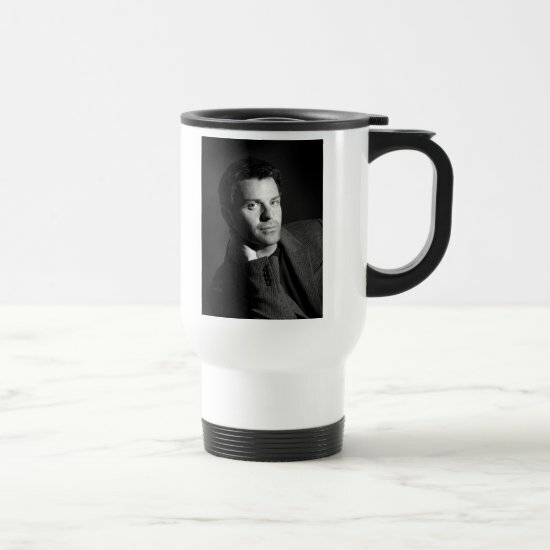 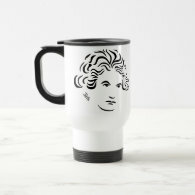 For lovers of classical music and all things Beethoven, this music travel mug features an original portrait of one of the most popular composers ever. A musical design with black and gray musical notes. 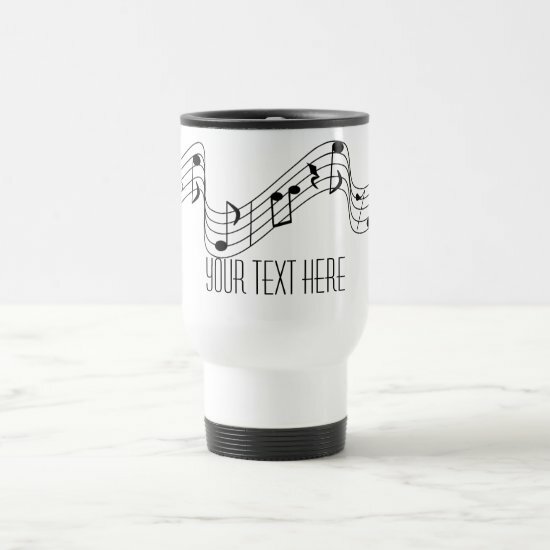 Customize the text to create a personalized travel mug for musicians and music lovers. Take your pick - a selection of banjos in the colors of the rainbow. 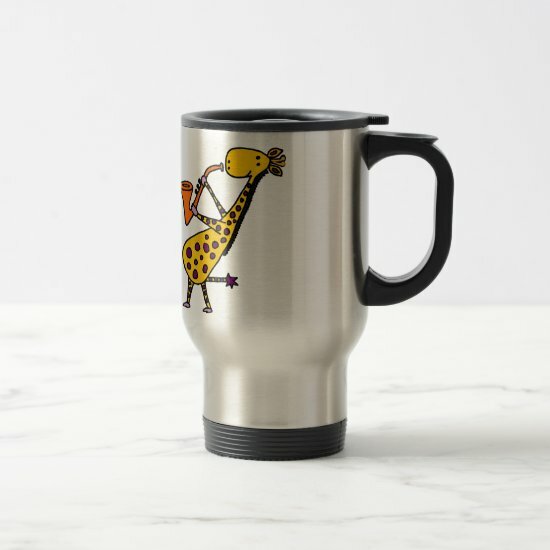 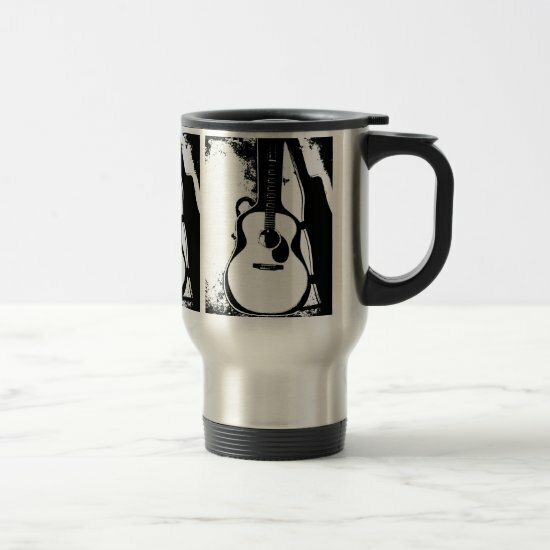 Fun and colorful, this travel mug will be treasured by banjo players. Peace Love Flute... a sweet design for the person who loves the flute featuring a peace sign and love heart in a colorful flautist design. 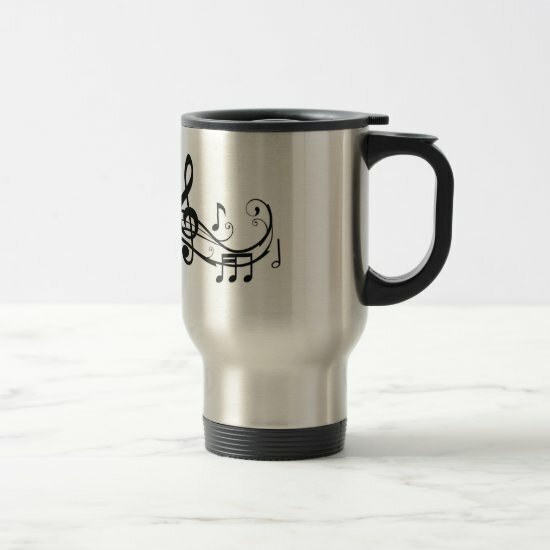 Love and music are in the air with this sweet travel mug featuring a romantic and artistic design with red hearts and music notes. 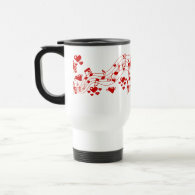 A music lovers design featuring a black love heart and red musical notes in a painted effect. Music lovers and musicians will adore this mug. The perfect gift for the music teacher to have their coffee on their way to work. 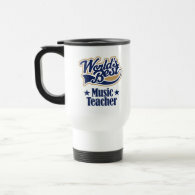 "World's Best Music Teacher" says it all. Available in other colors. From cute to elegant, from bright and colorful to stylish black and white, these travel mugs and water bottles will make the perfect gift for music lovers and musicians of all ages.